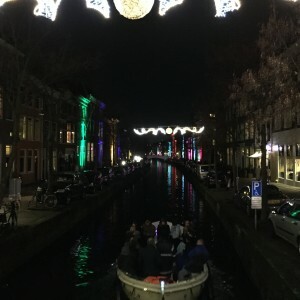 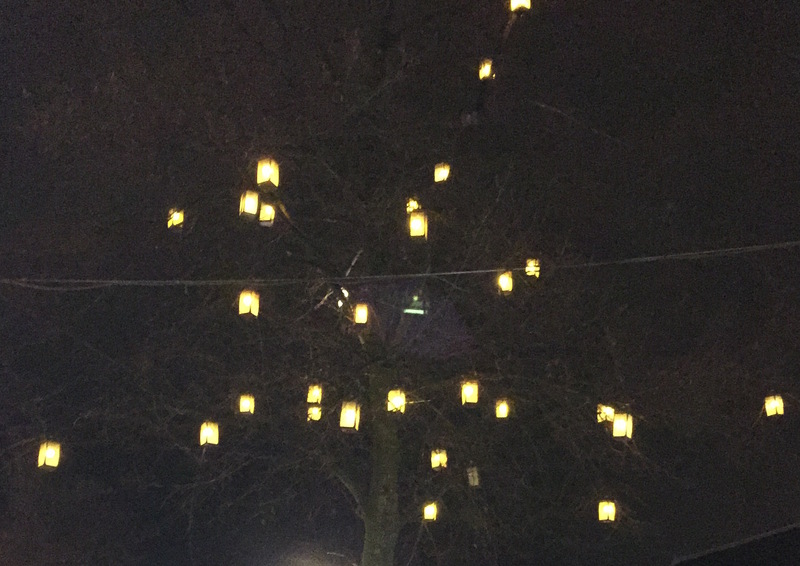 Yesterday I went to the ‘Lichtjesavond’ (Night of Lights) in Delft. 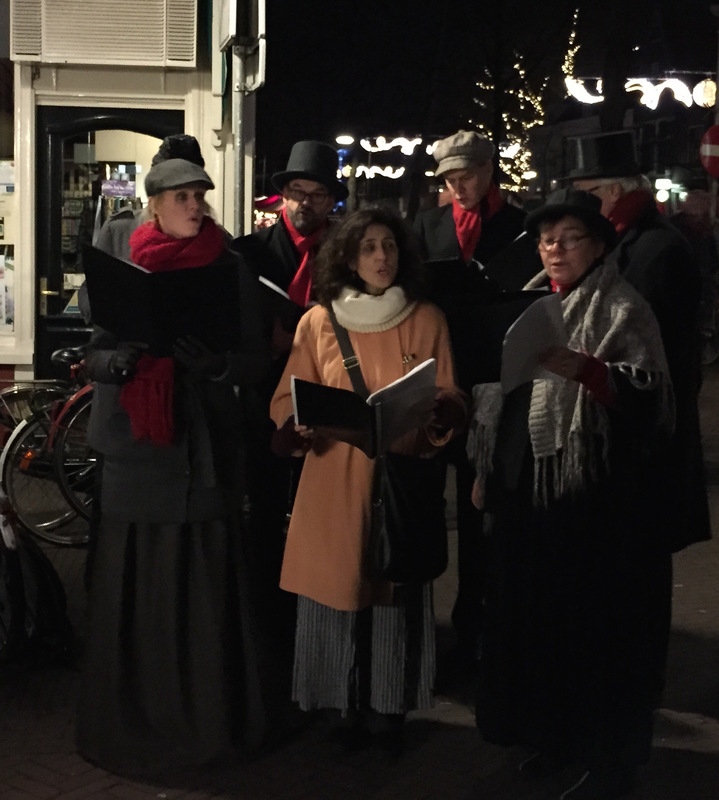 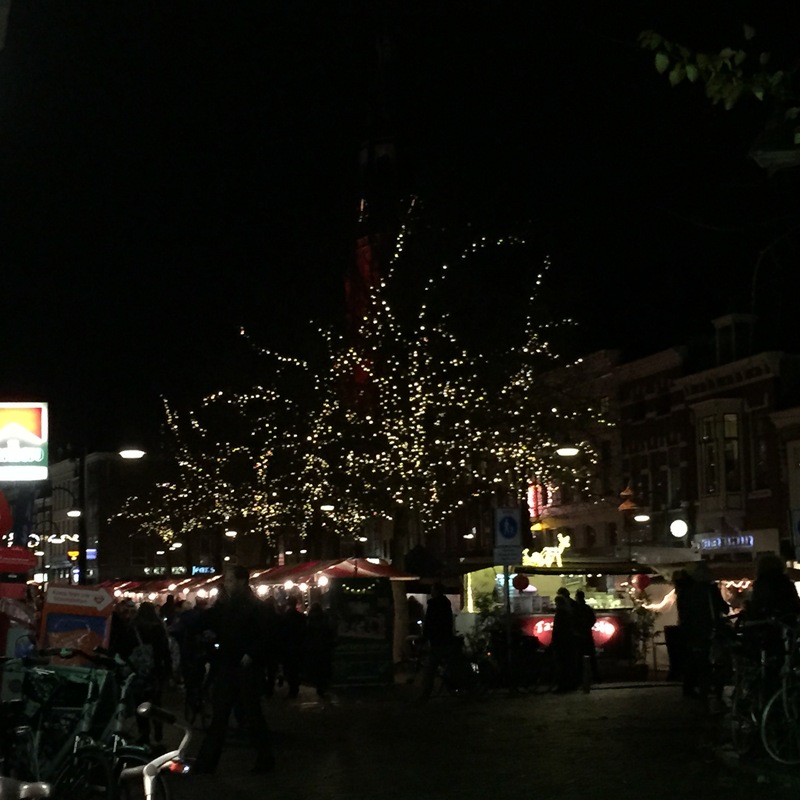 It is a yearly recurring event with a market in the streets in the center of Delft and (obviously) with a lot of lights everywhere! 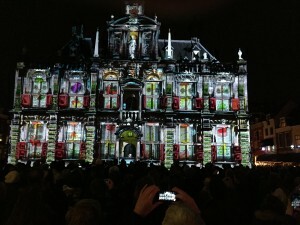 This year was a little bit different with a special 3D light show projected on the old city hall. 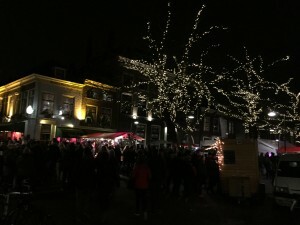 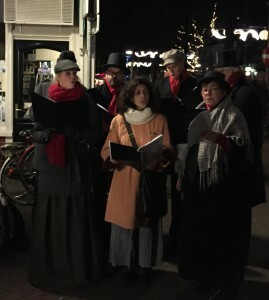 Every year the Lichtjesavond starts with the lighting of the Chrismastree in the center of the market square (check out the tree in the picture above!). This year there was also a special 3D light show on the city hall, which you can see behind the tree. 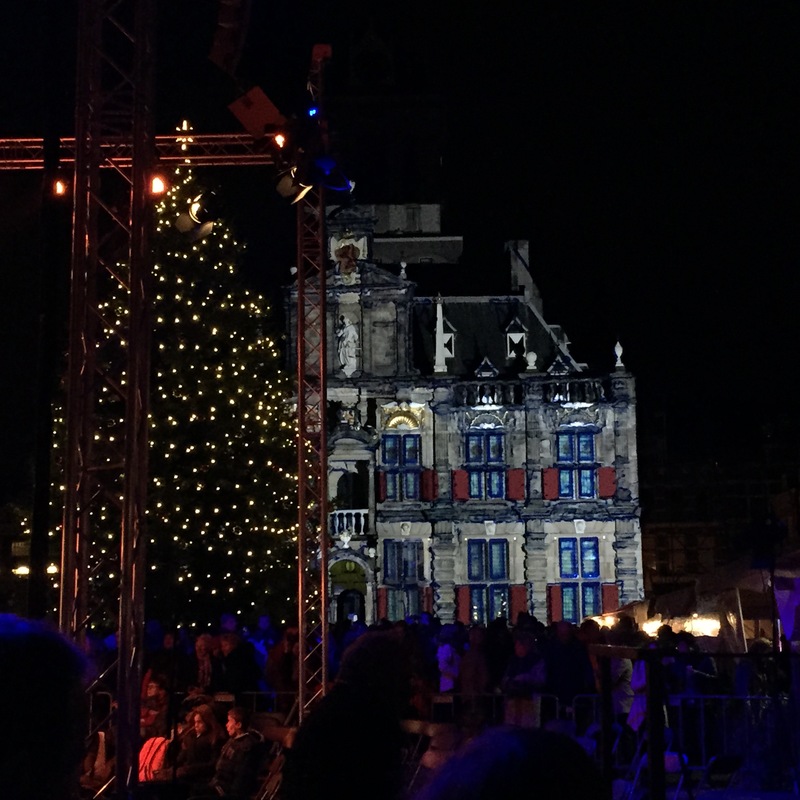 When me and my friend arrived at the market square, there was already a projection of blue lines on the facade of the city hall. 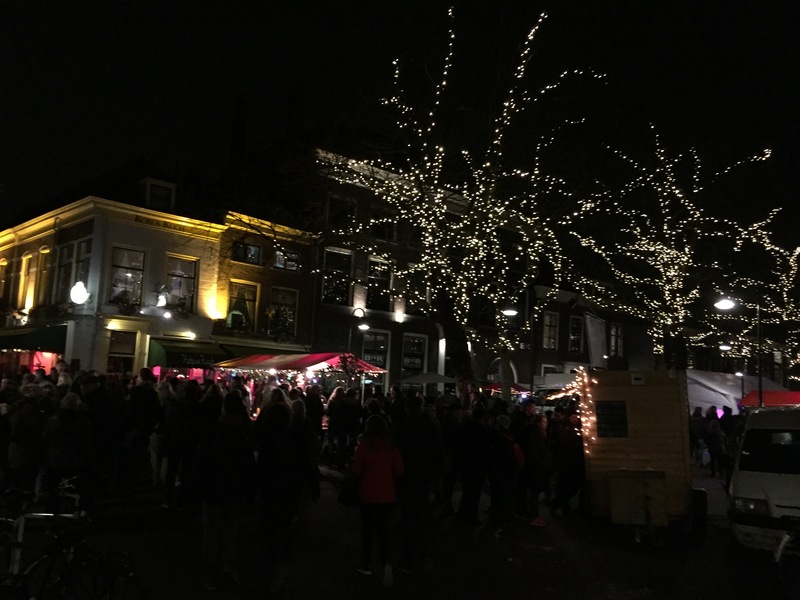 The show itself was 15 minutes long and involved, among other things, a projection of a casino fruit machine, the big events and achievements of Delft (in combination of the TU Delft) and the collaps and rebuilding of the city hall. 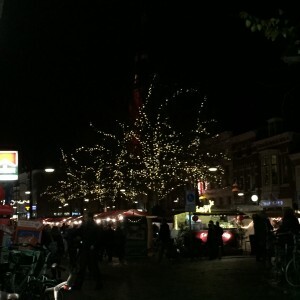 Some of it looked really spectacular, and some of it was less spectacular. 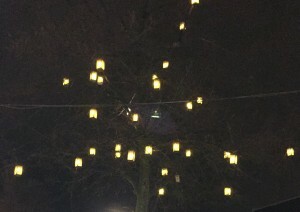 Overall it was really cool though!